October is one of my favorite months. The weather is colder, but it (usually) isn't snowing. School has started but it isn't too intense. Halloween movies are on TV! What could be better? I remember loving my Ipsy bag from last October, so I was excited to get this one. The bag is really cute, with a subtle dark red lace detail and a little bat on the zipper. It reminds me of Morticia Adams. I've decided to do something a little different with this Ipsy review and include the estimated value of each item. This will help show the value of the bag and how much you're really getting for your money! 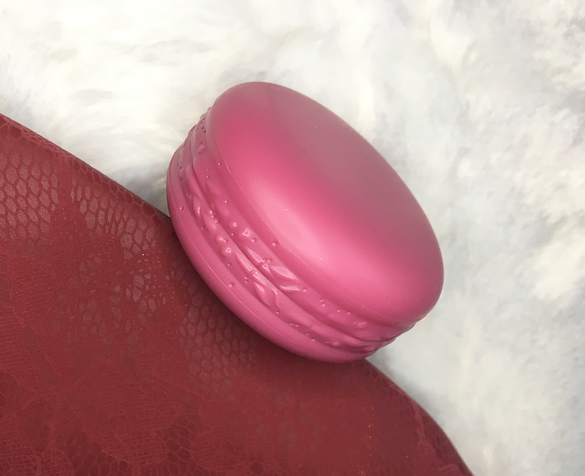 This little lip balm is shaped like a macaroon, which is so cute! It also smells great, like a vanilla macaroon. It reminds me of the Zoella Sweet Inspirations line. I'm always happy to have a new lip balm, even if it is a bit bulky. I've always heard the best things about these eyeliners so I'm happy to try this matte black one! I thought it was about half the size of a standard liner, but it includes 3/4 the amount of the full-size, so it's a good value and it will last me a long time. I'm really impressed by the swatch! 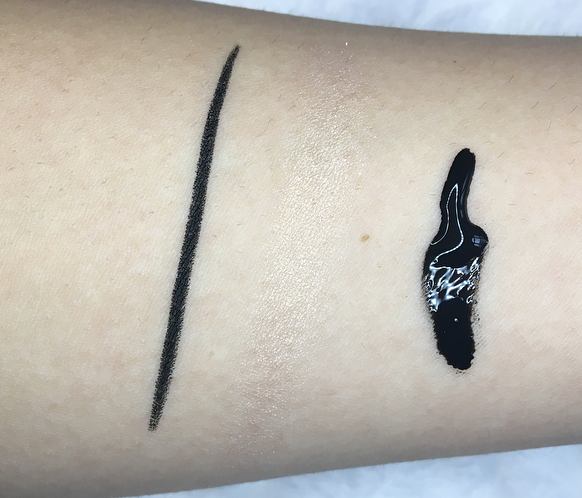 It's so pigmented it almost looks like a swatched a liquid liner, except it's completely matte. This is, sadly, my least favorite item in the bag. The shade is really gorgeous but it doesn't swatch well at all. I haven't tried it with a brush, so perhaps there is still some hope for it, but this seems way more subtle than I like my highlighters to be. Perhaps if you want a really slight glow this could be for you. You have no idea how excited I am to use this! I've always watched those videos of the peel-off charcoal masks with fascination, and now I have one of my own to try out. This sample is 15 ml and the full size is 60 ml, so I will definitely get a few uses out of it, especially if I only apply it to my nose and chin areas. I've had this mascara in the full-size before and I liked it, but not enough to repurchase it. I'm happy to try it again, though it won't be for a while! 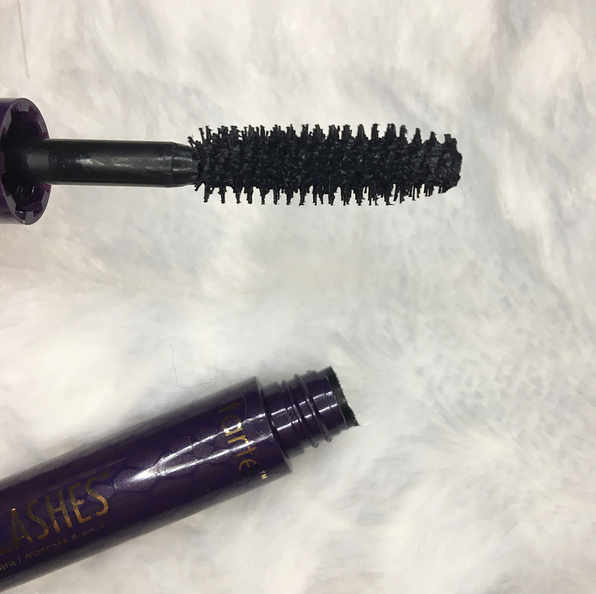 This seems smaller than the average travel size mascara but the full size includes 7 ml and this has 3 ml. It's probably worth less than my estimate because the full size has such luxurious packaging, but I based it on the amount of product. So overall the products are worth $50.83! Not bad considering it only costs $10. Best of all, according to my research, Doucce and Blaq are cruelty-free. I personally consider Tarte and Urban Decay cruelty-free, too, though their parent companies are not. The only brand that I don't think is cruelty free is CuteBalms because they ship to China. What do you think of this month's bags? Have you tried any of these products? 7 comments on "October Ipsy Bag Review"
Do tell us how you like the mask, I tried a couple of these myself, some really great and some not that good, I am interested to see if this one works! This is so exciting! Great review! I've been wanting to try the Urban Decay liner. As soon as I looked at your picture, I noticed it. I'm thinking I might start Ipsy in the new year. I've been subscribed to Boxy Charm and really loving it.